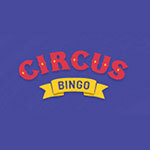 Play at Love Hearts Bingo Today! New Player Only. Min Deposit £10 & Max Bonus £40 T&Cs Apply! Lovehearts Bingo take care of its each players by providing them best and different games.These are 90 ball bingo, 75 ball bingo, Slots, Scratchcard, Instant games, Casino games. Fall in love with new online gaming site Lovehearts Bingo which will surely pop your heart out. Lovehearts Bingo site has got a very simple but very beautiful look. You will find lots of hearts falling from the tree of heart which adds to the beauty of the overall look of the website. The site was opened in October 2016 and is operated on Dragonfish platform and Dragonfish network. As the layout is very simple so you can easily get what you want. The site has got a lot of offers and promotions. You get the best offer when you join lovehearts Bingo family. The site provide you with amazing welcome offer where on making your first deposit of just £10 you could get £50 welcome offer. 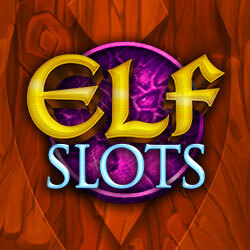 Maximum bonus that new players can avail is £40 .Isn’t that great, so what are you waiting for? Join now. It should be noted all these offers are available for those who are 18 years old. Whichever game you choose to play, each game has its own wagering requirements such as bingo wagering requirement is 4x deposit plus bonus and IG wagering requirement is 80x deposit plus bonus. Minimum withdrawal available is £5 which will be processed within 4 to 7 working days. You are allowed only £10 withdrawal per day and for this purpose you may be asked for photo id proof, proof of address and copy of cards. Are you ready to hear something really amazing? Yes, we have got some best daily jackpot offer waiting for you. Here you can pick the games such as £10K Sunday fun day, £600 dreamy Monday etc. and can get winning. To avail this you should be funded and registered player and get a chance to win over £5000 jackpots per week, what else do you need? HURRY UP! GRAB IT NOW. This offer is available only for the registered players who have met the room entry conditions. You can join games like daily doozey, on the house and take home some exclusive bumper prizes. Boost yourself up and be the one in the 100 exclusive players to join the late night game show where you can get a chance to win £100 real money every night at 00:45. To avail this you need to purchase minimum 96 tickets at the price of 1p per ticket and you should be funded player. At Lovehearts Bingo your loyalty really counts and moreover you get awarded for it. Every month you have a chance to climb the loyality level and get highest benefits. 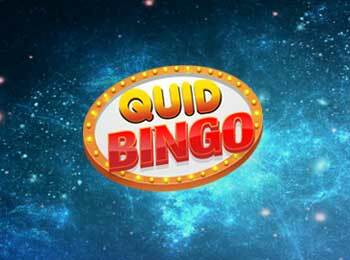 To avail this offer you need to be registered subscribed player and at least a ‘Bingo Pro’. This offer is available for those players who have received invitation card only. You get a chance to win a guaranteed jackpot of £5000 which will split between FH, 1 Line, 2 line, 1TG and 2TG and remaining £5000 will split according to tickets. You can play it on every 10th of every month at 8pm.All these offers come with a specific terms and condition, so do check the website before claiming any of them. We are available 24×7 at your services via different platforms such as you can get access to live help through our chat window , mail us or call us at 0800 901 2510 – UK only. You can know what is going around, about the new offers and promotions by connecting with us through various platforms such as Facebook, twitter, Instagram and YouTube. You should not be very far away from your top favorite games on Lovehearts Bingo. Now you can experience the thrill of playing these games even on your palm through your smartphones or tablets using any relevant browse. Moreover you can make deposit as well as withdrawal also. You will surely enjoy the mobile version of lovehearts Bingo.